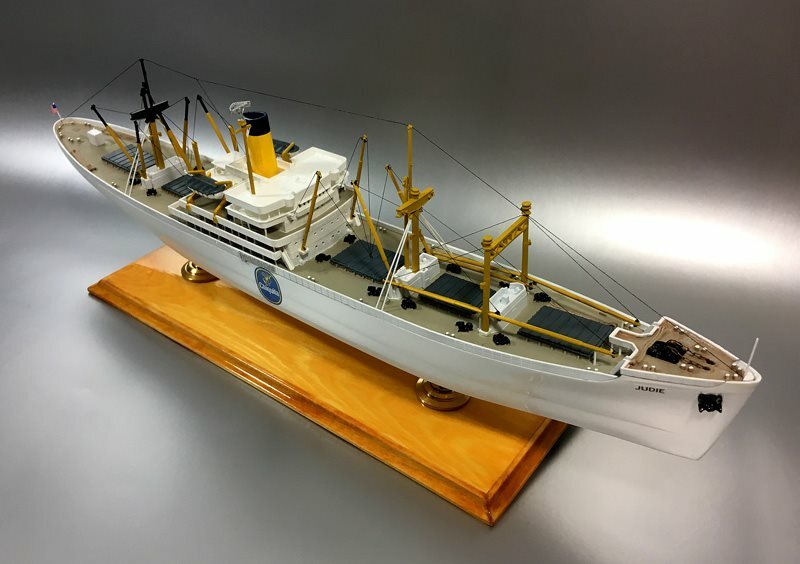 “I used the reissued version of this 1/380 scale 1955 Revell classic, Hawaiian Pilot, to create an idealized version of a 1950s reefer vessel (the iconic ‘banana boat’),” says John. He used Tamiya paints for the hull, decks, and cargo gear, and fine, charcoal-colored EZ Line for the rigging. He made his own base, too.